Model - R50 MINI ONE. We are breaking all BMW & Mini cars. Part number -1065240. Here to help. 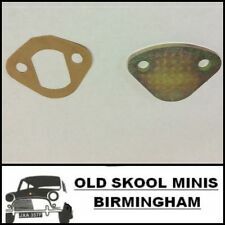 BM Spares UK Limited T/A A46 BMW. Part number for reference : 12G3494. Real-OEM part no. : 16112754806 2752287. We do have a lot of parts for almost every BMW model. Feel free to ask for any other BMW car parts, we are always happy to help. Genuine used BMW Mini part. VEHICLE COMPATIBILITY. ONLY SUITABLE FOR COOPER S MODELS WITH THE N14 OR N18 PETROL ENGINE . THIS IS THE FUEL PUMP AND SENDER UNIT LOCATED ON THE PASSENGER SIDE OF THE TANK. GENUINE MINI PART. PART NUMBER: 2752294 / 1611 2755082. Cost will be calculated at checkout. Parts are used in good working condition and as shown in the photos. All electronic components are tested with diagnostics before removed from vehicle. All electronics are tested before removed from vehicle. Mini Centre Berkshire. Rotherfield Greys. PEUGEOT RCZ 1.6 16V 2010.03-115kW/156 KM 1598ccm. for 1.6 THP Peugoet / Citroen. CITROEN C4 coupé (LA_) 1.6 THP 150 2008.07 -2011.07 110kW/150 KM 1598ccm. CITROEN C4 Grand Picasso j’ai (UA_) 1.6 16V 2008.07-1598ccm 103 kW/140 KM. Real-OEM part no. : 16116763830 6763829. We do have a lot of parts for almost every BMW model. Feel free to ask for any other BMW car parts, we are always happy to help. Genuine used BMW part. It is also possible to collect the item from our warehouse. We do have a lot of parts for almost every BMW model. Feel free to ask for any other BMW car parts, we are always happy to help. Genuine used BMW part. VEHICLE COMPATIBILITY Real-OEM part no. : 13517588879. Part number for reference: WFX100812. Leacy Classics - Suppliers of Classic Parts for Classic Cars. ENGINE: 1.6 PETROL CODE: W11B16A. MODEL: COOPER S. MAKE: MINI. TOP QUALITY CAR PARTS. ALWAYS COMPARE PART NUMBER. THAT IS CORRECT PART FOR YOUR CAR! ITEM CONDITION. ON THEM IN FORM OF SCRATCHES. It will fit any R55 R56 R57 R60 and R61 Mini model (EXCLUDING COOPER S OR PETROLS) produced between 2009 and 2016 that are using the N47C16A engine code. BMW Part No - 7823452. 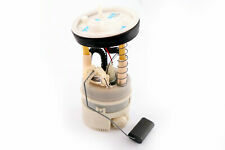 This high pressure fuel pump is in good fully tested working order and is ready to fit. Original Part Number:- AUF214, AUF214EN. Genuine SU Electronic Fuel Pump. Suitable For:- All Classic Mini models fitted with an electric "pusher pump". Classic Mini. Parts are used in good working condition and as shown in the photos. All electronic components are tested with diagnostics before removed from vehicle. All electronics are tested before removed from vehicle. Part Number: 7588879. Model: Mini Cooper S (R55 Clubman // R56 Hatchback // R57 Cabriolet). Part: High Pressure Fuel Pump for the N14 Engine. Year: 2007 - 2010. IN TANK FUEL PUMP & SENDER UNIT REMOVED FROM A 2008, 08 PLATE BMW MINI ONE 1.4 PETROL R56. Saloon, van, pick up, clubman, clubman estate, moke, 1275 gt. Part Number: 7823452. Year: 2010 - 2014. Part: High Pressure Fuel Pump (N47 Diesel). The part/part number you will receive is not necessarily the one in the photos. PUMP/SENDER UNIT ONLY - DOES NOT INCLUDE TANK. VEHICLE REF: AK06. THIS DOES NOT INCLUDE NI, ROI, HIGHLANDS OR OFFSHORE ISLANDS. FOR YEARS: 2002 (2002). BACS Transfer. Barrington Auto Salvage have over 25 years experience. We provide a large range of quality used car parts for all major manufacturers. Cash on collection. Credit / Debit card. GENUINE MINI PART. PART NUMBER: 1611 7294387. IN GOOD USED CONDITION AND FULL WORKING ORDER. ONLY SUITABLE FOR MODELS WITH THE N47 ENGINE . MINI COUNTRYMAN R60 PACEMAN R61 1.6 DIESEL. REMOVED FROM MINI PACEMAN R61 2014 1.6 DIESEL N47 6 SPEED MANUAL GEARBOX IN BLACK B11. FUEL PUMP IN TANK. IF THERE IS A PART YOU ARE LOOKING FOR AND YOU CAN NOT FIND IT. Year: 2016 Fuel Type: Petrol. 2016 MINI ONE. This has been taken from a 2016 MINI but may suit other models. Injector Pump (High Pressure). Make: MINI (BMW) Transmission: 6 Speed. Model: MINI Door Plan: 3 Door. PUMP/SENDER UNIT ONLY - DOES NOT INCLUDE TANK. VEHICLE REF: RK54. THIS DOES NOT INCLUDE NI, ROI, HIGHLANDS OR OFFSHORE ISLANDS. Brand New High Pressure Fuel Pump Compatible with MINI R55-R59,N14 Engine ONLY. Condition is New. Genuine Mini Cooper s /John Cooper Works High Pressure Fuel Pump. All BMW and MINI Approved Parts and Accessories have a 24 Month Warranty. of the vehicle and we will be happy to check. MINI F54 F55 F56 F57 1.5 PETROL B38A15A. REMOVED FROM MINI CLUBMAN F54 2015 PETROL B38 6 SPEED MANUAL GEARBOX. HIGH PRESSURE FUEL PUMP. PART NUMBER 7 636 881. IF THERE IS A PART YOU ARE LOOKING FOR AND YOU CAN NOT FIND IT. Seal for in-tank fuel pump and in-tank sender unit. Will it fit?. Image is for illustrative purposes only, actual product may vary. Part Number : SU AUB 1065. To Fit : Classic Mini 998cc 1000 1275. BMW Part No. 2752287. Suitable for One and Cooper Petrol R55 R56 R57 Mini models built between 2006 and 2015. MINI Cabrio R57 (10/2007 — 07/2010). MINI Cabrio R57 LCI (04/2009 — 06/2015). MINI R56 (10/2005 — 08/2010).